After a hugely successful 2016 with the release of their debut album ‘Chilled Milk’, along with enjoying their biggest Irish tour to date, once more taking in shows in Vicar Street, Cork Opera House and festivals all over Ireland, the UK and Europe, Booka Brass prepare to tour small towns all over Ireland bringing their unique brand of musical energy off the beaten track throughout the countryside. 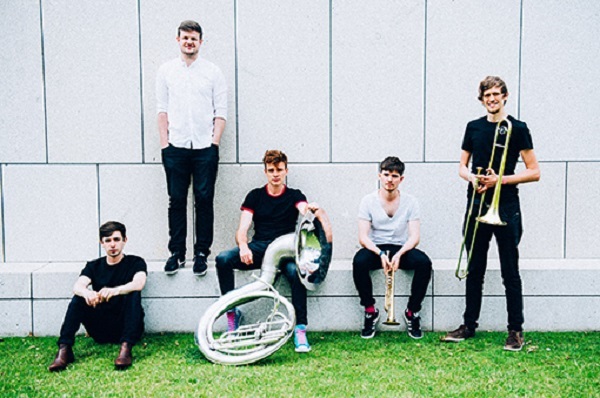 Booka Brass have continuously been lauded as one of Ireland’s top live acts. Their debut album ‘Chilled Milk’ has been widely hailed as one of Ireland’s top albums in 2016, by radio DJ’s and journalists alike.